Welcome to our fall 2017 issue of From the Archives, a behind-the-scenes look at the ins and outs of the work we do here, and the unusual, amazing and always-interesting fun facts and tidbits we discover along the way. The exhibition Revolution, featuring our ’67 patched 505® jeans and other Levi’s®, opened in Canada to great reviews at the Montreal Museum of Fine Arts. 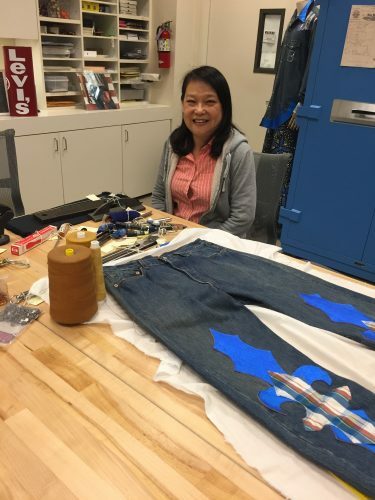 I interviewed Eureka Lab Sewing Technician My Hyuhn about how to craft a pair of 501® jeans; added new items to the Archives like a women’s 1940s short-horn shirt; and still found time to dig into the collection with designers for inspiration. 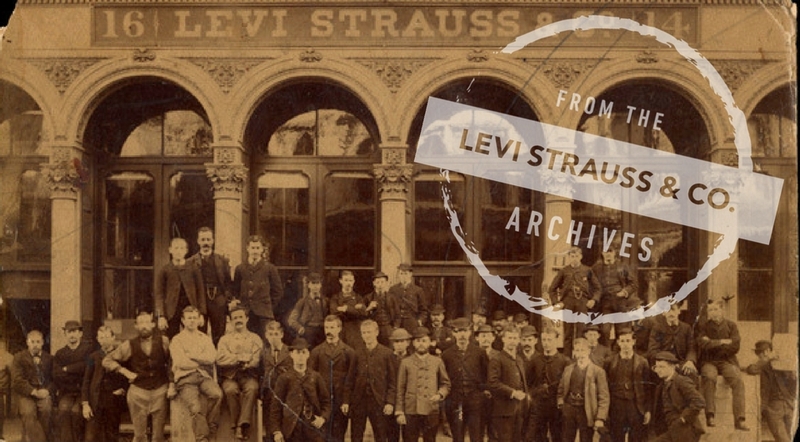 Here’s a peek at LS&Co.’s latest heritage happenings. 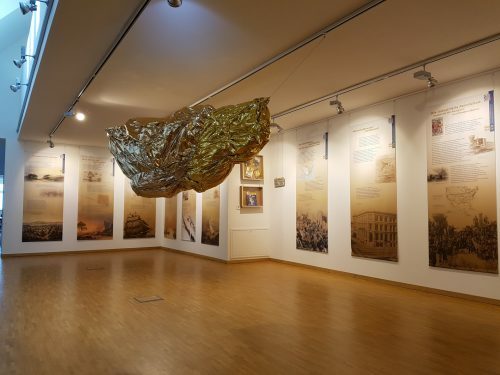 At the Levi Strauss Museum Buttenheim, the birthplace of Levi Strauss, the special exhibit Goldrush – The Boom of the American West focuses on the Californian gold rush, which – beginning in 1848 – changed a whole continent. 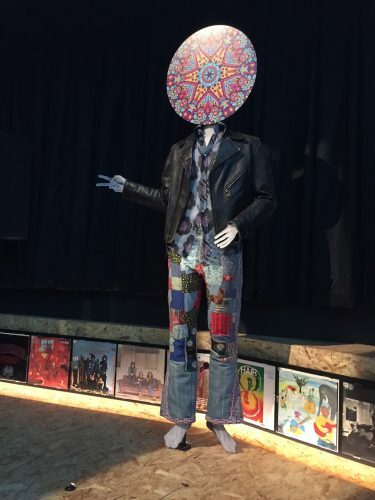 A musical odyssey that explores the ideals and aspirations of the late 1960s as expressed in music, film, design and fashion—like Levi’s® garments. Western Short-Horn Shirt. 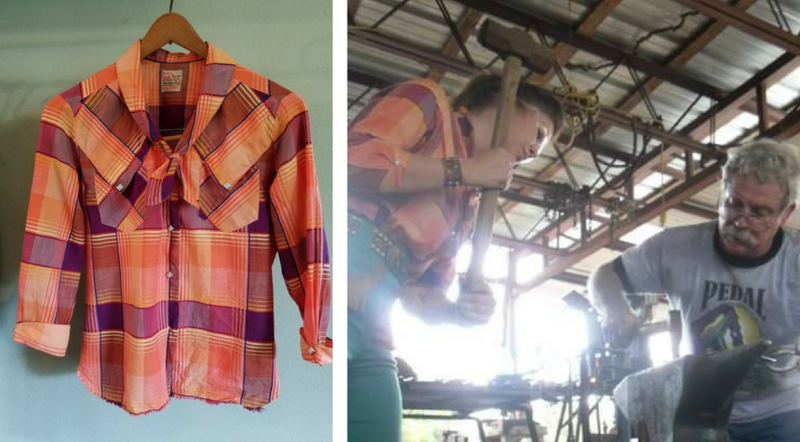 Vintage Collector Erin Zabel found this colorful 1940s Levi’s® Western short-horn shirt, which she once made a stylish impression wearing it at a Blacksmithing Competition many moons ago. 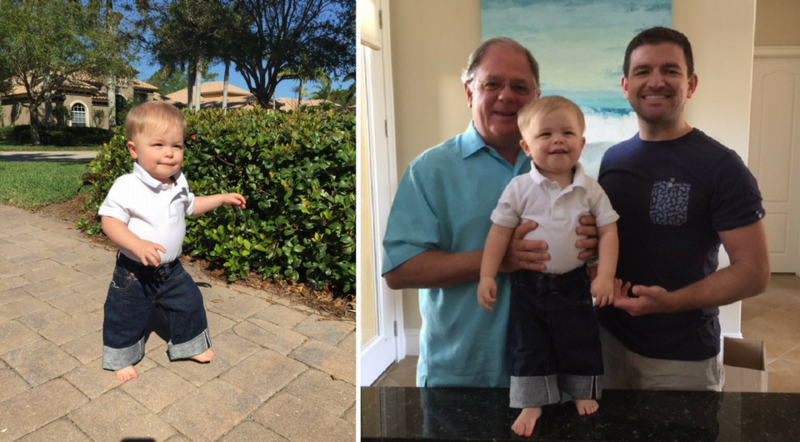 The shirt is the latest addition to our Archives. Erin owns an organic farm in Texas, where she and her husband craft bronze artwork. Q. I bought this [screen print] in a secondhand store here in Stockholm, Sweden. I was so surprised at the detailed artwork on the print and the colors. 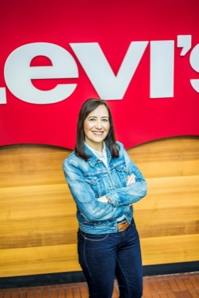 I researched and have found that the style must be around 1967 – 1969, so in the time Levi’s® expanded to Europe, but could also be 1976-1977 when Levi’s® made the commercial advertising of the, Leader of the Pack. Any ideas? A. This piece dates to 1976. 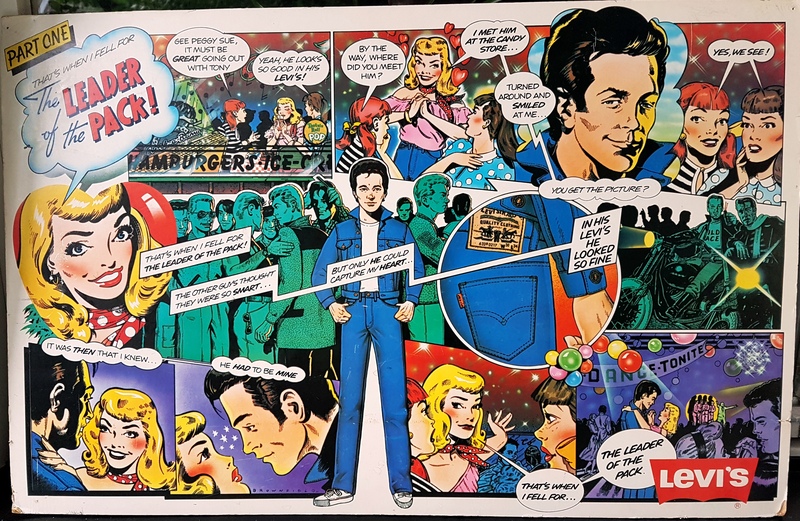 It was created by London-based Illustrator Mick Brownfield who created a series to accompany the Leader of the Pack television commercial (and song) of the same name. “They now seem prehistoric in style and execution,” says Mick, “they really are a period piece.” See the advertisement here. Eureka Lab Sewing Technician My Huynh spent a morning in the Archives demonstrating how to use a collection of historic tools. 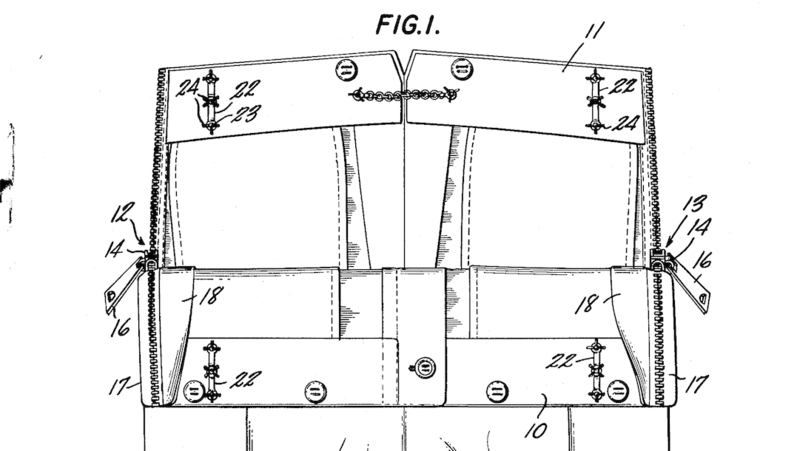 She also explained why it takes eight machines (from an overlock to a riveting machine) and three different colors of thread to make a pair of 501® jeans. A native of Vietnam, My worked briefly at our Valencia Street Factory. 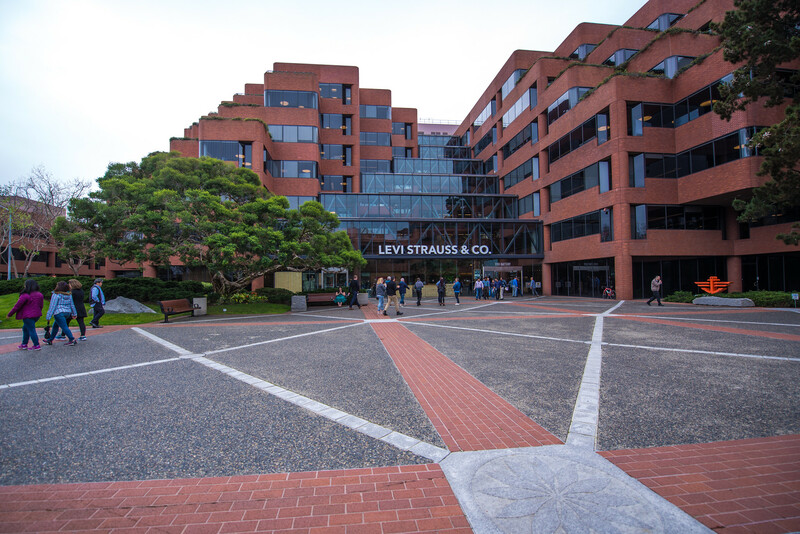 This year marks the 35th Anniversary of Levi’s® Plaza, our headquarters in San Francisco. Landscape architect Lawrence Halprin, who also designed Ghirardelli Square, U.C. Berkeley’s Sproul Plaza and the FDR Memorial in Washington, D.C., created a setting that was inspired by Yosemite and other natural areas. Want to keep up with the LS&Co. Archives and other cool LS&Co. heritage news? Follow Tracey on Twitter, @TraceyPanek, and stay tuned to Unzipped!